This week you may feel as though you’re doing everyone else’s work and you’re likely to be less than happy about it. Try to get your point across as calmly as possible and, whatever you do, don’t fly off the handle. If you get angry or accuse people of not pulling their weight, they may become defensive and be even less likely to help you out. 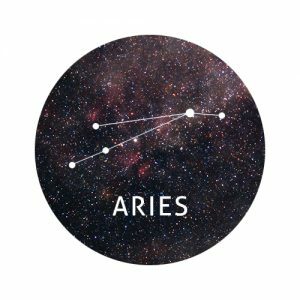 Be careful not to blame everyone else for your workload, Aries. Ultimately it’s you who manages your time and decides how your valuable minutes are spent. Recent promises to be more organised may start to slip this week. Try to get it all back in order. 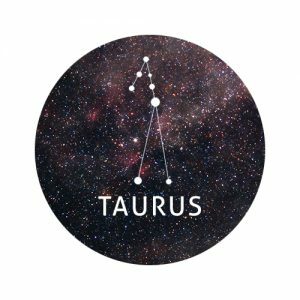 Whether you’ve been forgiven for a mistake you made or a ‘once in a lifetime opportunity’ has somehow fallen in your path once more, you’ve been given a second chance, Taurus. Make the most of it. You may feel as though you’ve been born again this week and this could be a sign of great things to come. Perhaps you’ve seen a situation from another person’s perspective or a dream has made you see the errors of your ways. No matter what’s inspired this change of heart, allow it to transform you into an even greater version of yourself. 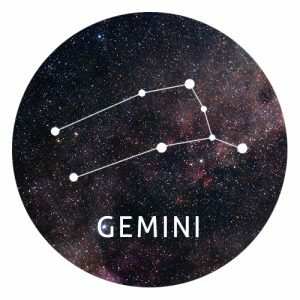 After a hectic few weeks, things are finally starting to return to normal this week, Gemini. You’ve had your head in the clouds lately but your feet are gradually coming back down to earth. It’s time to act like a grown up again but don’t completely abandon your playful and daydreaming nature just yet. It’s part of your charm. Don’t let someone else’s neglectful behaviour ruin your week. 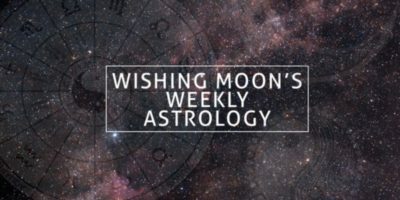 Whether someone has made an epic blunder and you feel like you have to pick up the pieces or a friend has failed to take your feelings into account, find a better way to react to the situation. Now that your birthday season is well and truly here, we hope you have a marvellous month of happiness. This could be an emotionally-driven week, Cancer. Sure, wearing your heart on your sleeve can be a beneficial trait to have but sometimes it’s good to keep your cards close to your chest. If you find yourself under pressure, try to stay quiet and observe the behaviour and actions of others rather than blurting out things you may later regret. If you’re single you may be feeling tired of waiting for The One. Summer weddings, family BBQs, and baby showers may have you feeling a little left out in the coming weeks but don’t let it get you down. The fact you get invited to all these social events is a sign that you’re a much loved person with a lot to offer those around you. Even though you may be tempted to hide away, remember that getting out there and attending various events is a great way of meeting new people and increasing your chances of finding The One. People are looking up to you this week, Leo, but don’t let the attention and praise go straight to your head. Try to retain a sense of modesty and carry on quietly doing what you do best. You may become suspicious of people in a different social circle this week but avoid questioning their motivations more than necessary. Rather than concerning yourself with the action of others, think about how you can continue to progress your own life. Are you suffering from a broken heart, Virgo? You may be questioning how you’ll ever recover but you will eventually. Trust us. It just takes time. Downtime is to be expected at times like this, so don’t feel guilty about hiding under your duvet and binge watching a Netflix series or two. Sooner or later you’re going to have to pick yourself up, dust yourself off, and get back out into the world. Surround yourself with friends this week. This advice applies to loved up and long time single Virgos as well as those with a broken heart. If an old friend gives you a call and suggests meeting up, don’t make excuses or turn them away. You’ll thank yourself for it later. It’s only natural for us to compare ourselves to others but try to avoid going overboard this week, Libra. Perhaps you feel like you’re less successful than a childhood friend of yours or you’re wondering why a sibling is luckier in love. No matter who you’re comparing yourself to, it’s time to stop this toxic behaviour. Everyone is different and we’re all unique. That’s what makes life so fascinating and beautiful. Go your own way and follow your own path. Chances are, while you’re busy wishing for something someone else has, another person is envious of your situation. 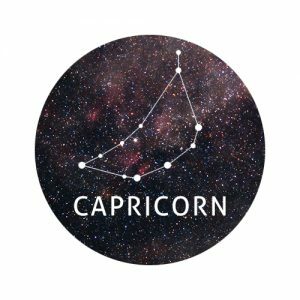 Can you keep a secret, Scorpio? You’re usually an expert when it comes to keeping schtum but this week you may hear some gossip that’s just too juicy to keep to yourself. Before spilling the beans, think carefully about the potential consequences of your actions. Could you upset someone? Could you lose a friend? Could your reaction damage other people’s opinions in you? We have faith in you to do the right thing, Scorpio. 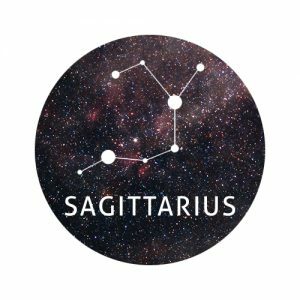 Ask yourself whether you’re guilty of blocking others out of your life, Sagittarius. Maybe you’ve suffered a heartbreak in the past or you’ve been betrayed by a close friend. Something is standing in your way and preventing you from opening your heart and being your true authentic self. Although it’s important to learn from our experiences, don’t let troubles from the past prevent you from being happy in the future. We need to take risks with our heart and give people a chance. June should be a much calmer month than its predecessor so take this opportunity to focus on yourself. Even when you have no one to answer to, you’d never dream of letting your own schedule slip – but try to keep your evenings and weekends a little less structured than usual. Be prepared for some surprises this week and enjoy them. After all, the month ahead is sure to be packed full of excitement and even some spur-of-the-moment adventures. Don’t be afraid to be spontaneous for once. Something’s inspired you to step up your humanitarian efforts, Aquarius, and now that we’re entering a new month this could prove to be the perfect opportunity to turn over a new leaf and embark on some new adventures. Whether you’re taking part in sponsored runs, volunteering with a worthy cause, or helping to raise awareness of an important issue, you’ll get a sense of satisfaction from helping others. This week, try to find ways to meet new people and make new friends. By doing so, you’ll not only strengthen your social circle, you’ll also open up new opportunities for the future. You sometimes have a habit of giving up on friendships when the going gets tough, Pisces. As important as it is to ditch toxic friendships, it’s equally important to know when to make amends and put the past behind you in order to repair an existing friendship. Friendships are a bit like plants. If you want to have beautiful friendships you need to care for them and water them every day. You can’t just expect a friendship to progress all by itself; you have to nurture it. Swallow your pride and apologise if you were in the wrong. Make an effort to see those you haven’t seen in a while.